PALMVIEW — The new board of directors for the Agua Special Utility District is now in place following the elections last month. 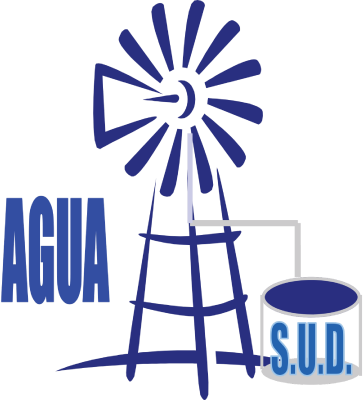 The four successful candidates who campaigned for a place, or to remain, on the Agua SUD board of directors were sworn in Monday after winning their respective races in the May 5 elections. For Lloyd Loya, Cesar Rodriguez Jr. and Ivan Sandoval — the board directors for Peñitas, Mission and Sullivan City, respectively — the ritual was a familiar one as they’d been elected or appointed to the position in the past. The swearing in of Adolfo Arriaga, who was elected as the La Joya board director, was new in the sense that his is a recently created position. That place on the board was previously a county-at-large position but was converted into a position for La Joya through Senate Bill 814. Board President Roger Hernandez retained his title while Rodriguez was elected vice president of the board. Esequiel “Zeke” Ortiz Jr. was elected secretary and Loya was elected treasurer. After their positions were settled, the board agreed to enter into negations with M2 Engineering, an Alberta, Canada-based company, to be the new engineer of record. That title is currently held by J.E. “Eddie” Saenz, who in December 2017 was appointed interim general manager but is now in negotiations to be officially hired as general manager.